Coquettishly, she plays and explores in her free-spirited manner. 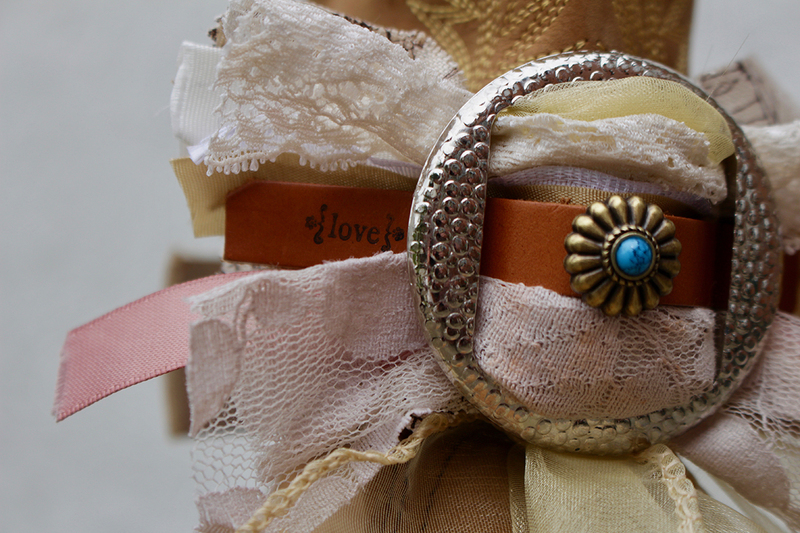 Strong but tender; Courageous yet soft. 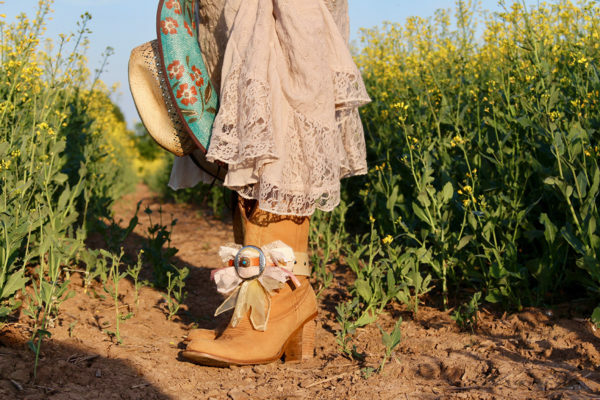 Self-assured in her style she holds dominion wherever she is. 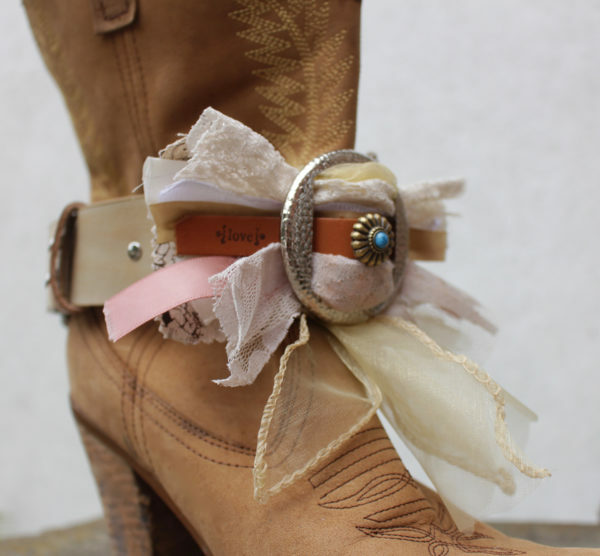 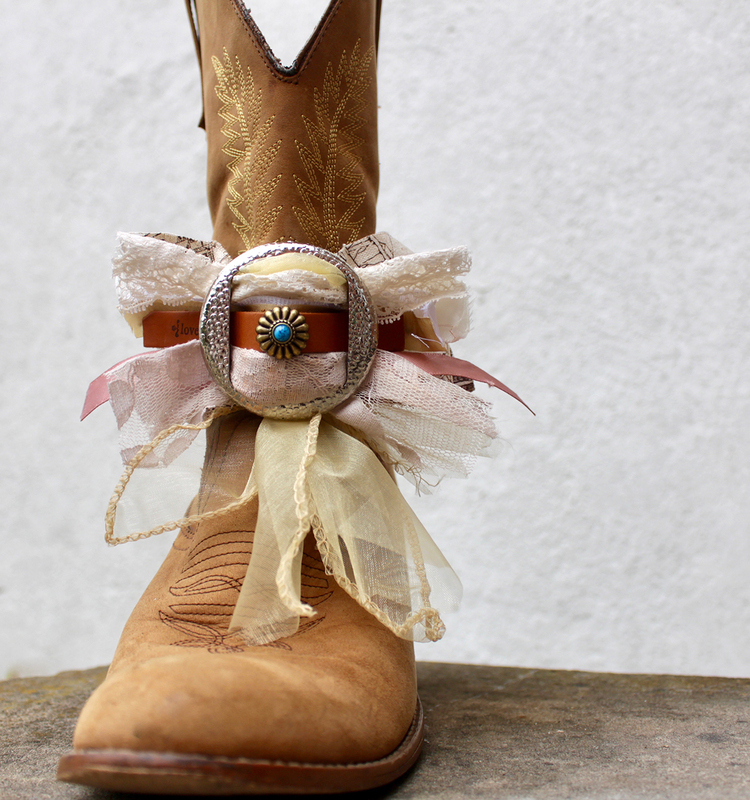 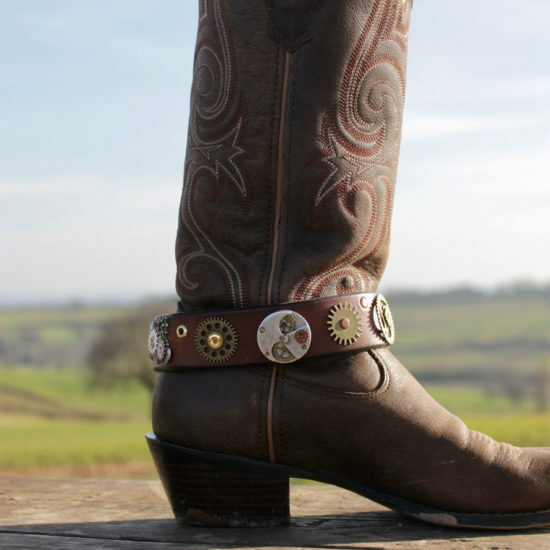 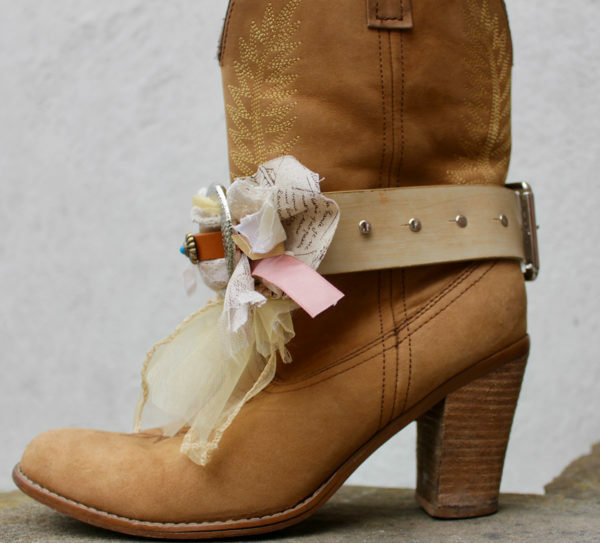 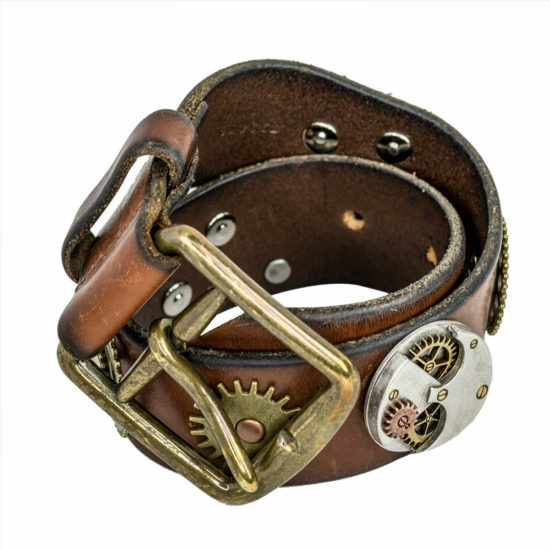 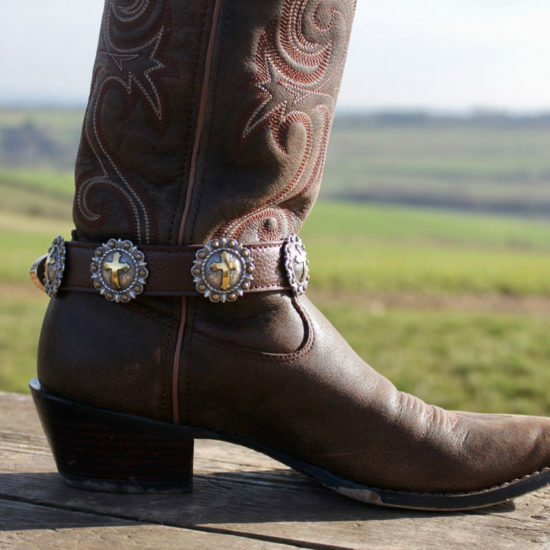 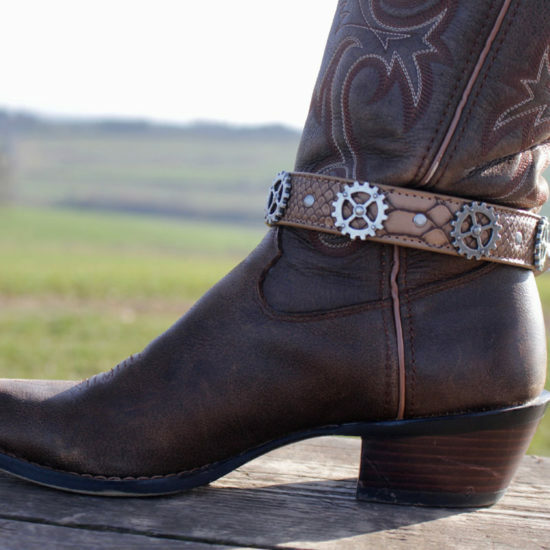 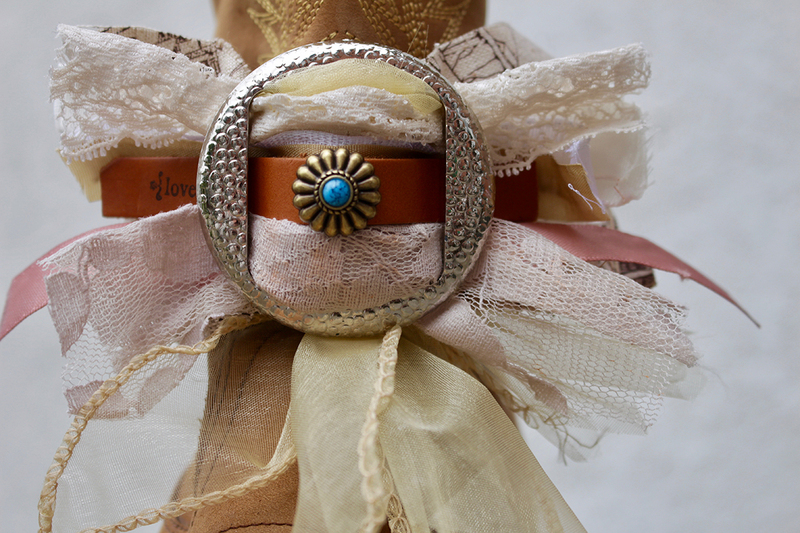 Vintage and distressed cream leather boot juju embellished with a silver buckle threaded with antique lace, 5 ribbons, printed French canvas, and golden voile. 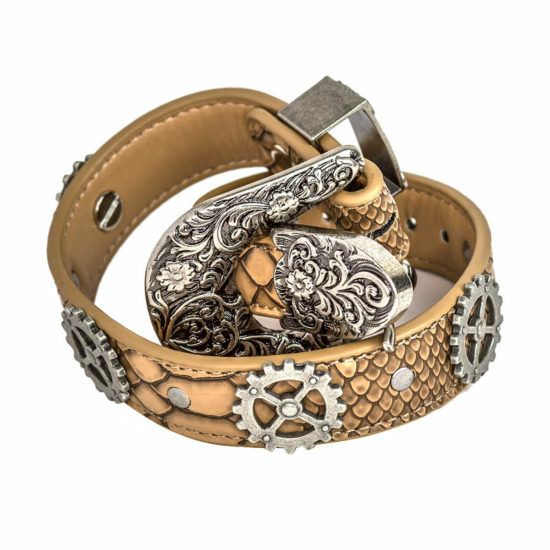 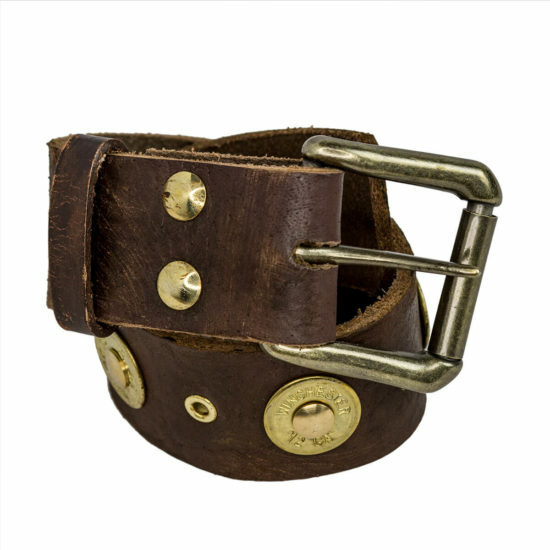 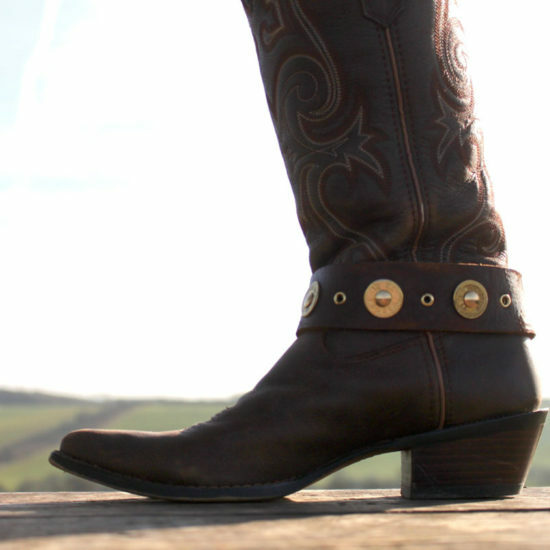 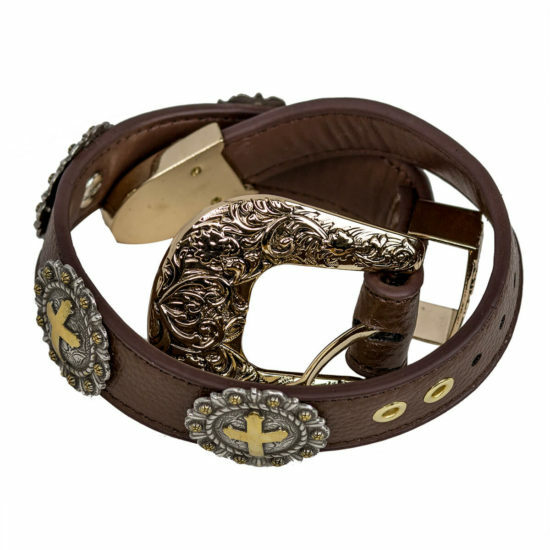 The centre is threaded with a piece of leather embellished with a blue centred, antique gold coloured flower and stamped with the word “love” Finished along the boot strap with 5 silver double capped rivets.